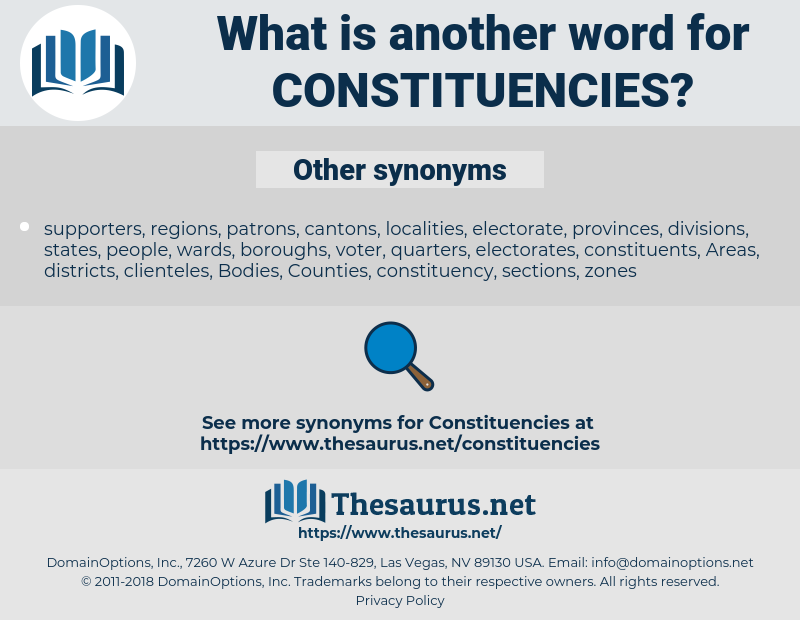 What is another word for Constituencies? groupes, segments, clusters, grouped, teams. collectivities, seats, Constitutions, consortiums, coalitions, arrondissements, governorates, composition, compositions, correspondents, multi-stakeholders, conglomerates, representatives, collections, syndicates, authorities, outskirts, courts, neighbourhoods, boroughs, co-sponsors, cornerstones, factions, communes, jurisdictions, counterparts, polls, caucuses, subsectors, contexts, contributors, communicators, sessions, blocs, registrations, lobbyists, deputations, organisations, partenaires, chiefdoms, 'audiences, precincts, supporting, wards, worlds, parishes, proceedings, acteurs, Agencies, combinations, Municipalities, discussants, components, intervenants, provinces, rightholders, stocks, sociales, grassroots, cohorts, sittings, headquarters, Stations, Associations, entidades, panellists, compilations, partnerships, denominations, checklists, colleagues, compartments, practitioners, aggregations, Occupations, nominees, underpinnings, surroundings, means, directions, destinations, parts, customers, contacts, interveners, recipients, cercles, mates, Nationalities, functionalities, loyalists, endorsements, grupos, baselines, Administered, settings, FCS, protagonists, ways, peoples, stake-holders, viewers, interviewees, followers, supported, landscapes, delegates, advocates, institutions, Schedules, elements, sympathizers, presenters, partisans, blocks, rosters, pockets, machineries, organisms, rings, membres, cycles, cazas, portions, operatives, FACETS, shoppers, Respondents, avenues, partners, citizens, entrants, administrations, admissions, legs, intervenors, Clients, listings, brackets, principals, assemblages, guests, informants, Beneficiaries, fields, servants, deliverables, participants, fundamentals, cliques, basics, Organizations, users, sills, organs, grounds, Areas, functions, abutments, offices, proponents, ingredients, responders, Benches, addressees, speakers, Operators, generators, limbs, visitors, grantees, patrons, spheres, sets, Databases, providers, brokers, auspices, attendees, Workplaces, Capabilities, flocks, masters, adherents, gangs, fronts, sponsorships, centers, batches, layers, targets, wetlands, Matrices, Habitats, formations, forces, clubs, venues, media, Mediums, aggregates, personnel, Caregivers, mid-, kits, Branches, performers, Arenas, backers, peacekeepers, Bodies, sides, Facilities, unions, Gentlemen, objects, callers, tips, rolls, packages, people, Enemies, frames, trades, Hearings, pillars, bundles, Donors, NATIONALS, ranges, streams, features, grades, officers, Ones, fans, backgrounds, publics, masses, places, PODS, modes, Foundations, donations, helpers, lovers, states, groupes, LINEs, segments, clusters, teams. 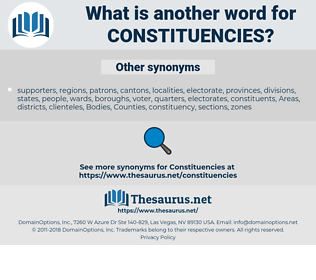 grouping, groupings, services, Populations, condolences, panels, bands, district, districts. by-elections, electorates, Communities, constituents, elections, representation, representations, Counties, interlocutors, sectors, supports, collectives, concerned, sections, colleges, interests, region, regions, supportive, ballots, Countries, divisions, electors, localities, townships, supporters, Industries, ridings, professions, voters, prefectures, population, quarters, clientele, clienteles, functional, stakeholders, memberships, sub-groups, instances, towns, interested, Spokesmen, subgroups, social, audiences, lists, establishments, Categories, shareholders, actors, Parties, environment, Environments, Territories, zone, zones, professionals, disciplines, GCS, member, members, domains, defenders, agents, Peripheries, Classes, subjects, sponsors, Lobbies, Forums, Fora, mix, players, pools, walks, base, Bases, groupings, services, Populations, panels, bands, districts. Out of touch, necessarily, with their enormous constituencies, they seemed to be always crawling about with their ears to the ground, dependent on agents and reporters of every sort, even on the Press, for an idea of what was going on. But the constituencies will be the sufferers, and feel all the effect of pernicious legislation.